Should You Buy Your Own Pair of Skis or Stick with the Offerings of Ski Centres? After a recent ski holiday, you've found yourself enamoured by skiing and you have decided that this is your sport, your thing — that this is one thing that you'd like to devote your energies into. The next imperative question to ask is whether you should invest in skis or continue to rent these from a local ski centre. In the past, ski rentals have been associated with newbies and tourists. And to a great extent, this particular segment constitutes a significant segment of the market that ski rental shops target. However, a growing number of advanced skiers have come to acknowledge that renting skis can be beneficial for them. But why should you consider renting skis if you are serious about becoming a skier? For one, ski rental shops constantly upgrade the equipment they offer to clients. In terms of equipment, ski rental shops and their offerings are not too far behind from the latest gear that you can buy. Furthermore, if you are keen on buying your own pair of skis, you should not totally discount the idea of renting first. By renting skis, you get to try the models that are on your shortlist. You can ascertain whether a particular brand or model fits your needs and are well worth the money you intend to cough up for them. 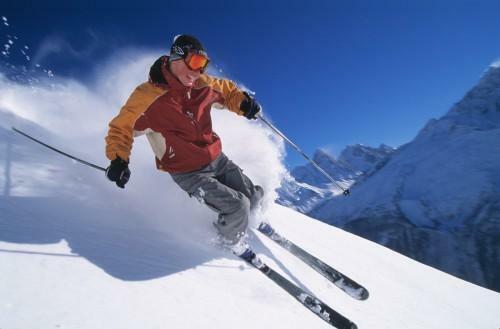 Another advantage of renting skis is that you can forgo the costs associated with owning one. In particular, you can save a sizeable amount of money because you do not have to pay for the transportation of your gear, which can get exorbitant especially if you take a plane ride to your destination. In simple terms, you are most likely to cough up less cash if you opt for ski rentals rather than bringing your own gear. With these being said, there are a few drawbacks to relying on your local ski centre for your pair of skis. For one, if you are an experienced skier, you cannot get the exact pair of skis that you want. If you are unhappy with the skis you first rented, you have to spend an inordinate amount of time finding a pair that actually works for you. Another advantage of owning a pair of skis is that you will be comfortable and confident in your gear with every outing on the slopes. At the end of the day, if you are really keen on investing your time and effort in skiing, investing in a good pair of skis is the way to go. Otherwise, you can save a great deal of money by renting skis.